With great spirit, good nature, and a whole hearted eclectic sound driving his passion for music forward, Zama Rripa proves with his newest album American Soul that his message is just as powerful as his music. Zama, emerging from the elite Miami music scene, has been garnering an insatiable street buzz with his indie-folk-americana rock style and free spirited lyrics that are uplifting and warm; yet take a stand at the same time in a positive and protesting way. He has performed all over the world in various bands as well as a solo artist, and his solo effort in American Soul really touches on his experiences, views and adventures into finding one’s journey and purpose. Each anchor single off this album is very anthemic and has a very vibrant and almost tropical feel at times. With some reggae influences in the mix with a modern folk and americana signature, each track is very eclectic in its structure and timeless in its message. With smooth acoustic textures and clean guitar layers that blend in with a very rhythmic flow, Zama‘s songwriting structures are very fresh, bold and deliver an authentic feel that is genuine and heartfelt. You can feel the passion that has been put into these tracks, and it really authenticates Zama‘s artistic merit every time each song plays out. There’s no specific formula – he writes and plays what he loves, and that’s what makes a songwriter truly influential. If there’s one thing I can say about American Soul, it’s that Zama aims to inspire to be inspired. And to truly take in his music for what it really is – inspiring. He’s one of those artists that truly wants to make the world a better place through his music. And American Soul encompasses that with every track. American Soul officially releases on October 26th and will be available on all digital music retailers and streaming platforms. Review by: Justyn Brodsky With a versatile mix of musical and spiritual inspirations, Baltimore’s charismatic and multifaceted Roots-Reggae artist Kemit Price hits home with his uplifting single “Liberation”. With solid influences ranging from Bob Marley, Lauryn Hill and Nas, Kemit Price brings forth a very passionate message in this eclectic reggae track with all the tasty additives any reggae fan can appreciate. From bongo and percussive fills and an upbeat tempo for uplifting lyrical content, “Liberation” is a powerful song with multi-layered vocal harmonies, a bouncy rhythm section, and tasty guitar tones that puts Kemit‘s lead vocals right to the forefront to grab your attention. This grassroots-style song has a political and spiritual message that you can strongly identify with, and has diligently written vocal melodies that draw you into the song’s musicianship factors as well. Kemit, originally a contemporary Gospel singer, recently merged into the world of reggae and has been an influential staple in his music scene for the past 13 years. His highly-anticipated debut EP is slated for Fall of this year, and “Liberation” is definitely a great starting point for any avid reggae fan looking to discover a fresh artist with a bold, dynamic sound that everyone can dance to and enjoy right down to its final measure. If you are still recovering from your July 4th celebration, then “Liberation” is the perfect song to relax to and enjoy. We get a feel-good drag out of Nell‘s new single “Feelin’ Right”. 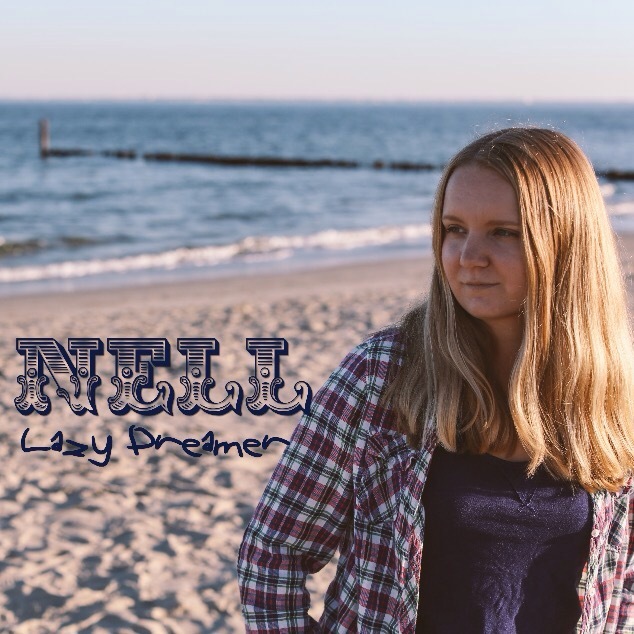 Nell, a self taught Musician who is admirably also a Music Teacher for people with special needs, does wonders with the self-described single from her 3rd release Lazy Dreamer. She’s a joy to behold and definitely a story to be told, granted that her line of work and spirit is nothing short of inspirational, and definitely sensational. Her teachings can be summed up to three words: inspire to aspire; which will eventually give her students the gift of being able to aspire to inspire. This characteristic alone makes Nell very much a milestone to music, and to those who are around her to learn something truly special. “Feelin’ Right” feels exactly just that. Right. Right here, right now. And it’s a great feeling. With a very ambient introductory solidified with reverb-driven guitar swells and decorated with a tropical atmosphere, we get led into a very upbeat and uplifting Pop/Rock gem with very natural vocal overtones and catchy melody-goodness. All vocal harmonies are completely authentic and have zero auto-tune. Another untouchable quality about most indie musicians; and always will be. This track, with an upbeat reggae vibe to it, showcases Nell‘s naturally self-taught ability in music; highly influenced by her earlier years of also taking Piano lessons and experiencing the beauty of musicianship hands-on. This is a great demonstration of an incredible character with untouchable qualities. Ranging from a very natural, warm spirited vibe in songwriting to very simple and talent-showcased Production value, “Feelin’ Right” feels right on point with the message, aura, and talented flavor that Nell gives us a taste of.